2018 marks 80 years of the Ace Café on London's North Circular so we at MCN thought we'd put together a gallery of pictures to show how it has changed in that time. The Ace started life in 1938 as a service stop for motorists using the recently opened North Circular. 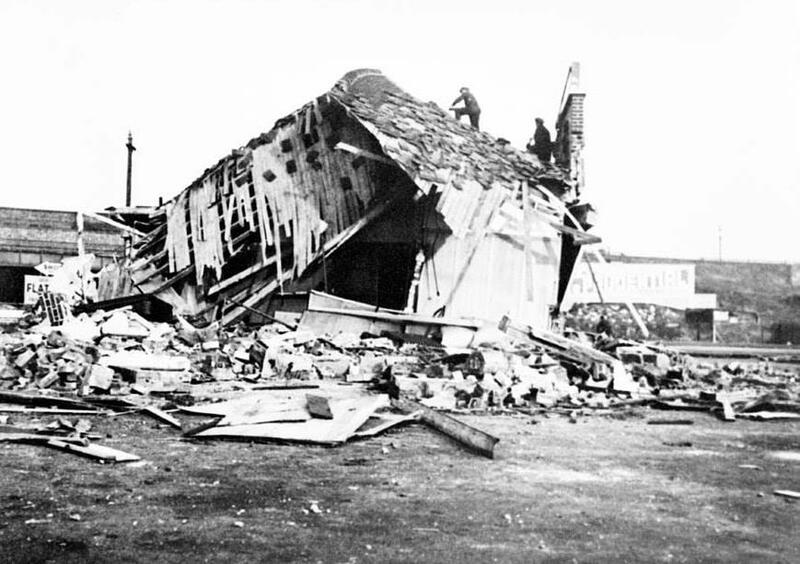 Shortly afterwards, in 1940, the building was destroyed by World War II bombers targeting the adjacent railway yards and the Ace operated from a temporary building until 1949 when it officially re-opened. The post-war boom in traffic and the advent of a new demographic, the ‘teenager’ meant booming business. Young people went to listen to the jukebox because rock ’n’ roll wasn’t getting played on the radio. The only places to hear it were cafés like the Ace. The British motorcycle industry was enjoying a heyday and the red-tops of the day were reporting that subcultures like the Ton-Up-Boys were terrorising the streets so the Ace offered a safe-haven for bikers to get a meal or a cup of tea, arrange runs to the coast or other cafés. 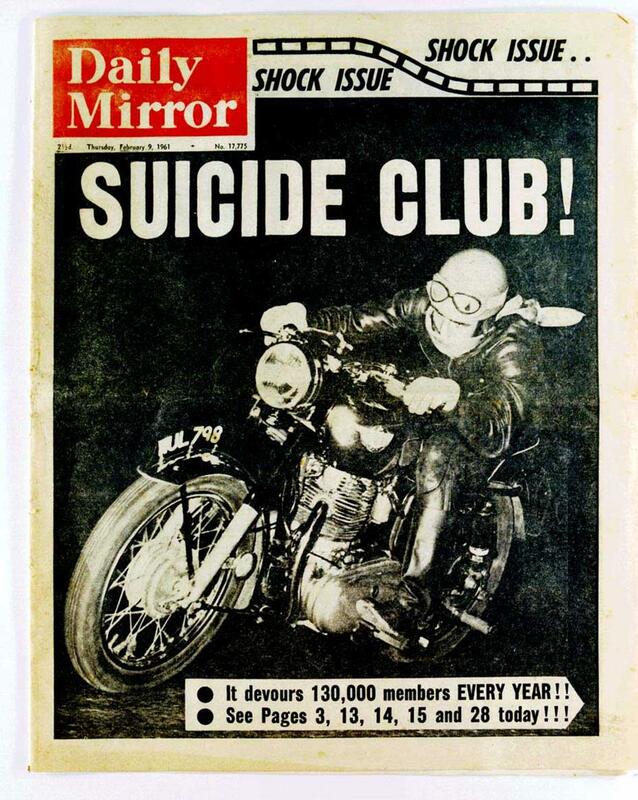 The blend of bikes and music led to the advent of ‘record-racing’, where a rider would drop a coin in the jukebox and then try to ride to a certain point and back before the song finished. These days, even mainstream manufacturers are building café racer models, but they were born in these days of racing round the North Circular. By 1969, the expansion of the car industry and the motorway network, coupled with a shrinking bike industry forced the Ace to close its doors. The building went on to be used as a filling station, a bookmaker’s office and a tyre depot. Fast forward to 1993, and Mark Wilsmore, the current Managing Director of the Ace had an idea to create an annual event marking the original café’s closure along with a book and a film documenting its history. “My addiction to motorcycles started quite young and the path took me to racing and I became immersed into a particular genre perhaps,” Mark told MCN in 2017, “but with the passage of time and as my peer group evolved there was a realisation that there was no real home for us bikers in London. “Living close by we’d ride past the café regularly and bemoan that we had nowhere to go. That changed in 1993 when an older friend of mine at the Triumph Owner’s Club started taking the micky knowing my interest in the rocker scene. He asked if I knew when the Ace shut, which I didn’t. He told me it was September 1969. The first annual gathering at the site of the Ace was incredibly popular, and Mark became single-minded in his mission to reopen the café. In 1997, Mark and some others bought the freehold for the Ace but they also inherited the tenant, a tyre company who were open from Monday to Saturday. Not only has the Ace Café London survived being bombed, spurned a whole category of motorbikes and provided a spiritual home for bikers and car-lovers alike for 80 years, it has also spread around the world. Visit the Ace Café website for details about upcoming events, and if you fancy a new set of wheels to go on check out MCN Bikes for Sale. Ace Cafe Orlando opens next week!